Kyra Han is the only survivor of Mar Sara Colony massacre, all because the Terran and the Protoss military force greatly demise from previous conflicts making many of their colony have to rely on a more private company for protection of which the Mar Sara Colony can not afford. She created the Hammer of Dawn Mercenary with main purpose not to let anyone suffer the same hell she went through. This is my 2nd project for StarCraft II. I've really enjoyed the story campaign of StarCraft and have played through all three. Terran the Wings of Liberty, Zerg Heart of the Swarm and Protoss Legacy of the Void, along with many different custom campaigns made by fellow mapster. 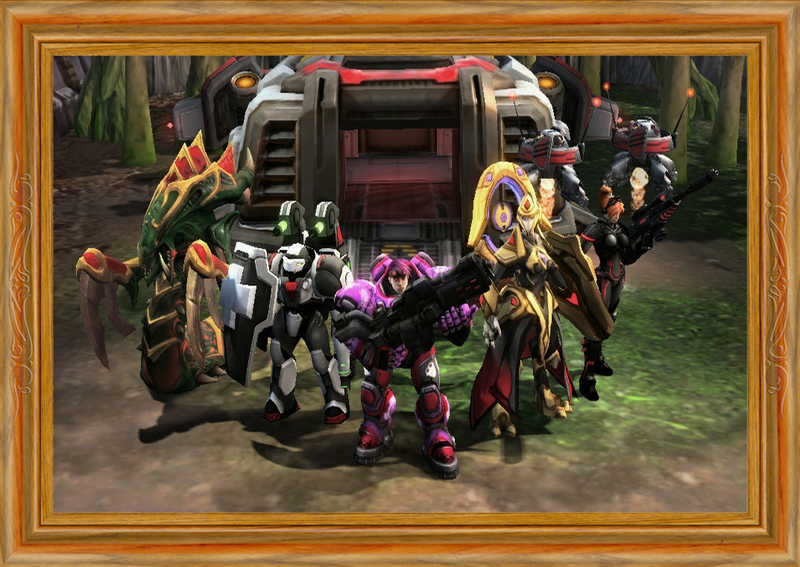 Take command of Kyra Han and her Hammer of Dawn Mercenary (see images tab for more info). 9 Mission with different terrain and environment. Focus heavily on RPG element and engaging story telling. Boss Battle for each mission. Custom models from fellow mapster (see credits section for more info). Three difficulty option to choose from. Casual ,Normal and Hard. Search and rescue mission for our client lost sister, make sure our "Mysterious" client doesn't get killed in the process. Paradise is under attack!. Put an end to the reign of terror and bring order to chaos. Our client want us to stop the Void before it consume everyone and everything she holds dear. 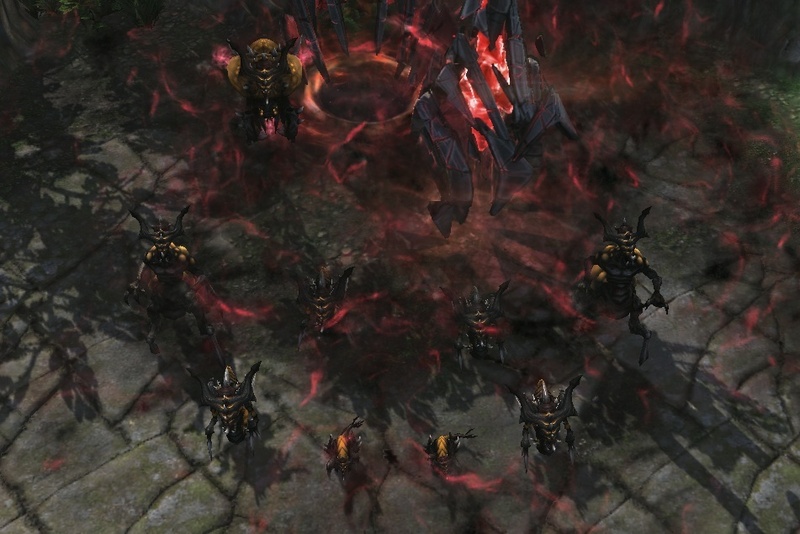 StarCraft II Legacy of the Void. Don't forget to turn subtitle and TIPS on. Help to make The Hammer of Dawn better. What is the Custom Campaign Initiative? Hammer107, AlleyViper85 and FunkyUserNarr for Kyra Han Model. Hammer107 and AlleyViper85 for Annabelle Model. AlleyViper85 for Mira Kel, Desert Ghost, and Snake Head Kommando Model. AlleyViper85 for Kaiser and Swarm of Amon Model. AlleyViper85 and MonsieurLeHeadbutt for CPG Goliath Model. Hammer107 ,TaylorMouse and Thrikodias for Zealot Guardian Model. Hammer107 for Columb Bush model, Baroness model and Annabelle Icon. GhostNova91 for Handsome Jack Model. Hultmanable for making Mission 02 possible. DudkiSC2 for Barry Baldwin awesome back story. Narudek for Radgar awesome back story. SoulFilcher and Supernova134 for many cool custom icons. Skulluse for Sarah Kerrigan HD model. Bilxor and Narudek for being Mission 03 beta tester. R0binicus and SamsaraNoMas for being Mission 01 - Remake beta tester. DeltronLive , R0binicus and SamsaraNoMas for being Mission 08 beta testers. DeltronLive , Redler Red7 , JayborinoPlays and MasterKD for their Youtube Video. Through out the campaign there are many name reference / crossover with other custom campaign. Highly recommend to play them before you play the Hammer of Dawn. - The Replicant Mission 01, 05 & 10. - Annihilation Mission 01 & 16. - Shadow of the Brood Mission 01 & 05. - Ascendency Mission 01 & 02. Hi! Can you add russian version here? Quit the campaign on mission one. Do you think having to tip toe your way forward and reloading because of banelings that you didn't have to put there is fun? Trial and error is never the way to go, nor is padding out the gametime by forcing a slow approach. Haven't finished the available missions yet, but thought I'd leave a bit of feedback. The fight against the Mission 5 boss is a bit RNG dependent since it doesn't telegraph its death beams at all. I had to reload multiple times during that fight and quick save in order to stop it from unfairly killing my weaker units. Sorry for the late reply wxz3q. Awesome that you've reach mission 06. Yeah, many already told me mission 03 boss fight is insane. Mission 04, yeah I was thinking to add FFXIII as reference but go with VII instead. Well mission 06 is part of bi-weekly, the current is the cumulative of the feedback. Great, hope you'll also enjoy the rest of the campaign. Normal and the Ravager 5 flame ray 1 shot heroes, that's ridiculous !!! 6 the boss is quite doable, thank you ! gonna download and play, really wanna play good starcraft RPG ! The 11th bi - weekly is on. Thank you for choosing my map. I hope it won't disappoint. The Final / Ending mission is out ^_^. Gosh, has it been 6 months already? 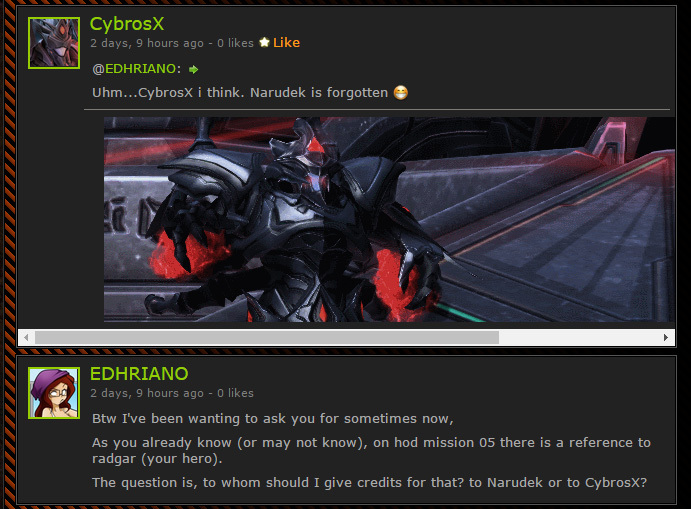 The other day I ask him to whom should I give credits, and he said to give credits as CybrosX. But sure, I can fix the credits. Uploaded the beta version of mission 01 - remake. I've decide to pull down mission 03 until i've done necessary adjustment to the mission. The 1st of a 4 part map of the Swarm of Amon Saga. Thanks for the heads up Hockleberry. I put your campaign up on the Team Liquid Single Player Forum. Be sure to hype up other people's campaigns! !